The University of Vermont has become the latest university to ban the sale of bottled water on its campus. In order to encourage students to bring refillable water bottles, UVM has also given their refill stations a makeover. With 14,000 students and faculty members, University of Vermont is the largest public institution to enact a ban on plastic water bottles so far. 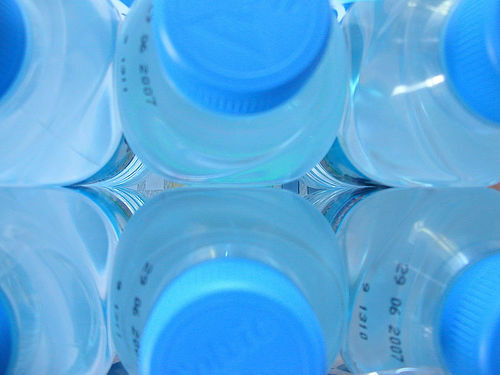 Of course water and soft drink companies are a little disappointed, using “free choice” as their argument, and that they believe comprehensive recycling programs will do more to prevent waste than a ban on bottled water. It’s a good thing most people can tell the difference between concern for the greater good and concern for dollar signs, such as the residents of Concord, Massachusetts who also enacted a ban recently. Would you like to see an outright ban on plastic water bottles in your school or town, or do you agree that it is encroaching on freedom of choice for students and residents?